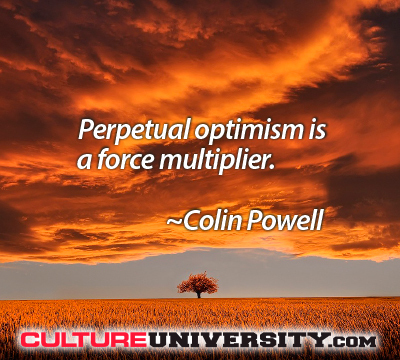 The following opinion is an extended look into “The Force Multiplier Theory.” It’s a concept I’ll introduce below, and it’s one we routinely use in helping organizations, teams, and leaders to understand the role of culture in organizational performance and effectiveness. The overarching idea isn’t rocket science. Seemingly, whenever we share this perspective with people they always nod their heads in agreement and say, “absolutely,” or “we really need that.” Yet, as basic as the idea might seem, we still see organizations struggle with this concept and fail to invest in it, or not to its full potential. There are a multitude of things any given company can do to improve performance; better communications, new equipment, more people, different people, new software, training, acquisition or divestiture. The list goes on. However, most of these actions fall into three distinct areas: Technology, Process, or People. Let’s assume that funding is not an issue. We know it’s not always the case but we also know that managers can often find funding for things when funding “doesn’t exist,” so perhaps it's more about value and priority. As we’ve observed with our Utility clients, when a business model is rate-case based, sometimes money in not an issue and your business model is to effectively and efficiently spend increased budgets on capital expansion and asset management. If we accept this for our hypothesis, then it’s safe to say that we can buy the best technologies, whether it’s IT infrastructure, software, or the best and newest equipment for any given industry. How many times have you or a co-worker said, “…if we just had [insert name of tool or software here], we’d be so much more effective”? Several times, perhaps. The real question here is if you or your coworker obtained that piece of technology, how significantly did performance increase? Any, if at all? How long before you saw results? More importantly, how long did the increase in performance last? What would the return on investment of that specific tool be over time, and in other parts of the organization that could use it as well? The same goes for process. LEAN and Six Sigma have been adopted in a multitude of ways in nearly every industry. Today, many organizations and teams are gaining value from Agile approaches to parts of the business beyond software development. Practices like Process Mapping and Continuous Improvement are light years from what they were a decade ago. Some industries can benchmark peer organizations to identify best practice process. But even if they can’t, investments can be made in third-party solutions from vendors such as the Accentures and Deloittes of the world. The process answers are out there. But let’s ask the same questions: With a new process or improvement effort, did performance increase? How significantly? How long before everyone was on board? How long did the increase in performance last? What would be the return on investment of that specific effort in best practices process? In many cases, the answers to those questions for both technology and process would be—incremental, short-term, and not as much as expected, respectively. So, how can we achieve the improvements we imagine we’ll get from these investments? How can you sustain that performance change over the long term? How can you maximize the return on investment in implementing new technology and/or changing process? We propose that this is achieved through an engaged workforce with high expectations for constructive behaviors. You can deploy the best technologies, you can implement the best processes and procedure; but without leaders and employees who are truly engaged in continually pursuing improvement, overall performance will likely increase only sporadically and neither achieve nor sustain, the desired levels of achievement. This is the Force Multiplier Theory—where people are the critical strategic factor for sustaining performance over time, achieving the desired levels of improvement, and facilitating the organizational effectiveness that drives ROI. Below is some simple data on the performance of companies with strong cultures that respectfully pursue achievement, collaboration, and learning. This research is from a 300,000-person, 25 company international study found in, “All In: How the Best Managers Create a Culture of Belief and Drive Big Results,” Gostick & Elton, 2007, in partnership with Towers Watson, as well as some safety-culture focused research done by Behavioral Science. As accredited practitioners of Human Synergistics’ systems and tools, we leverage their cultural assessment methodology and affirm through our practice that Constructive Cultures are the desired environment for deeply engaging employees to better accept change, pursue learning new ways of working, and even being the source of innovation that drives new technology adoption and continuous process improvement. In research we’ve performed recently, we also see that the Constructive behaviors can play significant and direct roles in the adoption of technology and successful process change, which can be a double-edged sword of sorts for culture. As an organization looks to implement new enterprise-wide technologies such as Software as a Service (SaaS) or use of Geospatial Data Systems or GIS, the behavioral norms for Achievement and Humanistic-Encouraging are critical. What are the goals and metrics we’ll measure while implementing and using the new technology, and can we respectfully coach, challenge and collaborate as we implement the new system? Additionally, for organizations that are looking to develop and/or identify and purchase new technology, the Self-Actualizing and Affiliative norms are key. Are we adept at seeking out new ways of working? Are we open to change and influence? Can we stay in the mix when things are ambiguous? And how well can we come together differently than we have before, leveraging open and dynamic relationships internally, and with customers to develop and select new technologies that truly meet user needs? As for continuous process improvement, we see the same. Organizations that have high expectations for Affiliative and Humanistic behaviors can maximize collaboration across changing process work activities to more rapidly identify new ways of working, new ways of measuring success, and collaborating in real time for quick solutions. Clear and measured goals are critical in processes involving many teams, and high focus on achieving milestones at expected levels of quality is a key factor in process flow. Lastly, Self-Actualizing again supports openness to change and the pursuit of knowledge in continually improving. These Constructive norms support managers and workers alike engaged in Lean and Six Sigma efforts, as well as new working and management styles best suited for Agile. Our experience is that the basic concept of The Force Multiplier Theory is sound. When it's about people and business efforts, success can be exponentially defined by the culture that supports them. As you look to deploy new efforts in yours or your clients’ organizations, it may be helpful to open a dialog on how Constructive behaviors directly impact the needs of the program. We find this continual integration between behavior and execution a valuable and insightful part of leveraging culture and managing change. It’s been interesting to share more on this idea, and given that many of you are OD/OE practitioners, I welcome your thoughts and comments on social media.